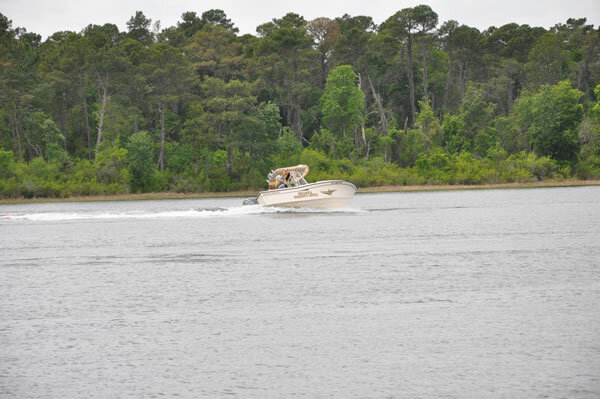 Days full of sunshine and plenty of warm weather have arrived in Escambia County and it is the perfect time of year for boating. 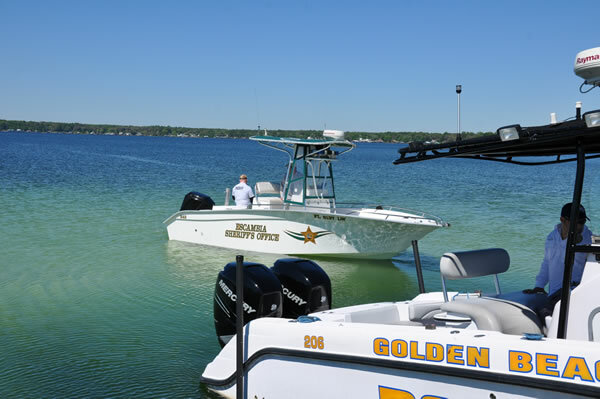 Be sure to follow this helpful checklist concerning boating regulations from The Escambia County Sheriff’s Office to ensure a safe and enjoyable day on the water! Every person on board under the age of six (6) must wear an approved Type I, II, or III while the vessel is underway. One USCG-approved B-1 type fire extinguisher is required for all recreational motorboats except outboard-powered motorboats less than 26 feet long if constructed in a manner that will not allow gas fumes to accumulate. If your boat has a built-in fuel tank, an inboard engine, compartments where portable fuel tanks may be stored, or open areas between the hull and deck where flammable or explosive gases could accumulate, you must carry a fire extinguisher. Non-motorized boats are exempt from the fire extinguisher requirements. The fire extinguisher must be USCG approved and must be in serviceable condition. NOTE: Coastal waters means the Atlantic Ocean, Gulf of Mexico, and all bays, sounds, harbors, rivers, inlets, etc. where any entrance is over two (2) miles wide to the first point where the distance between shorelines narrows to 2 miles. Every vessel less than 12 meters (39.4 ft) in length must carry an efficient sound producing device. The sound producing device need not meet any particular specifications, as long as the vessel can produce signals required by the navigational rules. We further suggest that you equip your vessel with an anchor and a sufficient amount of anchor line; a de-watering device, such as a bilge pump in the event of flooding; and an oar, paddle or other alternative means of propulsion in case your engine fails. 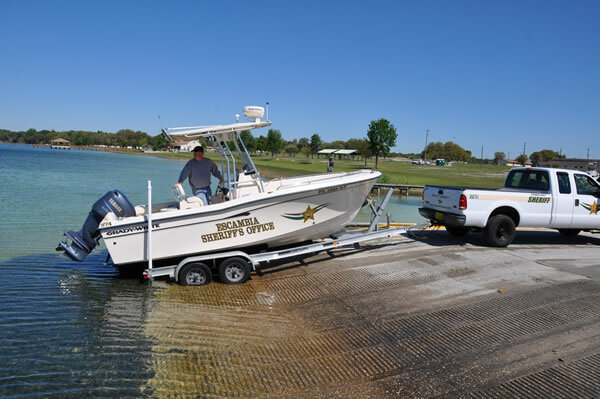 If the above equipment requirements and suggestions are met, you may be eligible to display a FWC or Coast Guard Auxiliary safety decal. For more information, please contact your local FWC office.